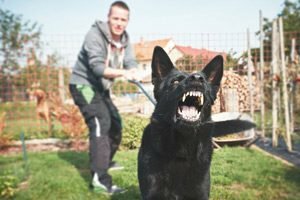 When a dog attacks you or a loved one, it is essential that the lawyer you hire is experienced in handling these specific cases. Attorneys Gerald L. Weiss and Ronald S. Weiss have that experience dealing with serious dog bite cases. Both of our attorneys aggressively pursue dog bite cases throughout Michigan, and Ron is also licensed to handle these cases throughout Ohio, as well. It is crucial to understand the intricacies of the law related to dog bites. In Michigan, when a dog bites a person, the law imposes strict liability on the owner of that dog. There are a couple very limited exceptions to the rule imposing liability upon the dog owner. The first situation which limits liability occurs when the injured person provoked that dog. The actions that constitute provocation can be tricky and the facts really require analysis by an attorney that is very familiar with the dog bite law. The next exception which limits liability in dog bite cases happens when the injured person trespassed or is otherwise not legally on the premises. Since Michigan is a strict liability state as it relates to dog bites, the injured victim does not have to prove that the dog owner knew that the dog was vicious. We regularly represent individuals who were attacked by dogs and this experience has helped us gain crucial knowledge needed to represent you and to protect your interests. Each state has its own law related to dog bites and Ohio is no exception. In Ohio, the owner, keeper or harborer of a dog is strictly liable for injuries that his or her dog causes. Whether someone is an owner, keeper or harborer can often require a thorough legal analysis. There are a few limited exceptions to Ohio’s strict liability law. Those exceptions include situations where the injured person has committed criminal trespass or many other criminal offenses. The law also limits the dog owner, keeper or harborer’s liability where the injured person teased, tormented or abused the dog before the attack. Ohio law goes on to specifically include liability against the owner, keeper or harborer when the injured individual was on the owner, keeper or harborer’s property for purposes of door to door sales or solicitation. We can help you work through the various parts of the law and help to secure a favorable resolution for your specific situation. Statistically, a disproportionately large percentage of bites occur to small children. There are many reasons for this. We understand the issues specifically involved in dog bites to minors. While the law remains regarding liability remains the same for adults and minors, there are extra steps or safeguards in place to protect the minor’s interests. We are very familiar with the steps necessary to protect your child’s needs. If you have been injured in a dog attack, fill out the FREE case evaluation form below or contact us for fair, honest and aggressive representation! When you submit your claim for a FREE case evaluation, we will contact you directly and quickly. Reach Out Today Remember: No Matter where you are in michigan or ohio, we'll gladly discuss your case over the phone. would be the best time to reach you.